Did I mention it was pretty windy? Well the first item out of the rod bag was my mini bomb/feeder rod setup helicopter style followed by the waggler rod. Depth on the waggler was around 10 feet around 3 rod lengths out, which would be about catapulting bait range. Due to the wind I opted for a 3 gram float with six number 8’s and four number 10’s down the line. I was contemplating not setting up a pole line however I had plenty of time so a short line, well 10 metres straight ahead. Bait today, maggots, casters, hemp and some corn. 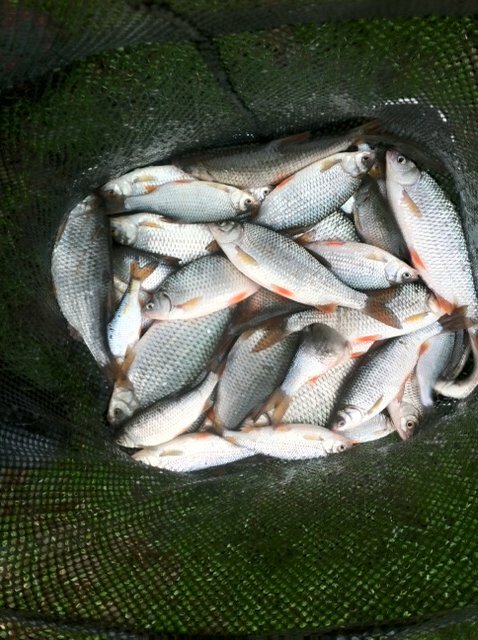 Groundbait option was a bag of Roach X together with what I thought was dark F1 sweetmeal until I blindly tipped it in the bucket and found it was crushed expander much to the amusement of Shedders! 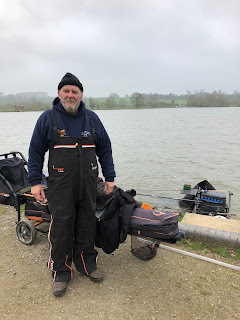 I was a little concerned at the start of the match as some of the lads where mixing quite a lot of groundbait and there was me with a single bag. Had I underestimated? 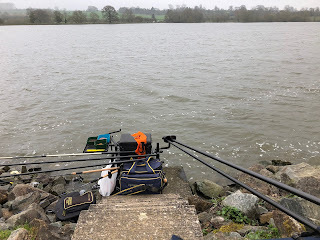 The reason behind the bombardment at the start was quite simple, get some bait on the bottom ready for when the fish turned up and hold them there and quite a few people did “fill it in” at the start. I opted for 5 balls of groundbait on my pole line, the waggler that was also the feeder line would be fed by the catapult and the initial 30 minutes on the feeder casting around every 5 minutes. 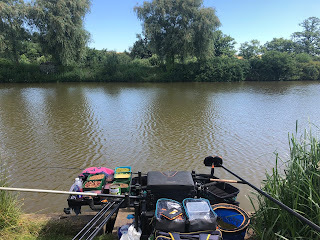 I had one pluck on the feeder in that first 30 minutes and nothing on the waggler in the first hour. 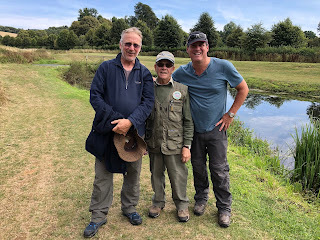 My luck changed as Colin K came round for a visit with the float sailing under. 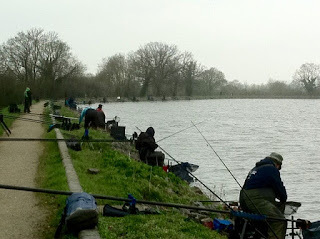 I managed to bag around 7 fish before Herbie and Shedders had their first fish. With the 2 hour mark passing and the waggler line being very sporadic it was time to try the short pole line which given the wind, I have mentioned it was windy… was pretty tough to hold. Disaster struck when the rig caught the rocks on the bottom, pulling for the break did exactly that, broke the rig. 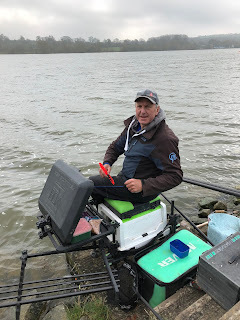 Question now was do I set-up another pole rig or stick the rest of the match out on the waggler? Decision was made and the pole was quickly packed away and the rest of the day would be on the rod. I was catapulting around 30 casters every two casts of the waggler. If the wind got up I’d change that to hemp to get the distance. I was fishing over depth, but only by around 12 inches which didn’t stop the float from speeding through the swim. 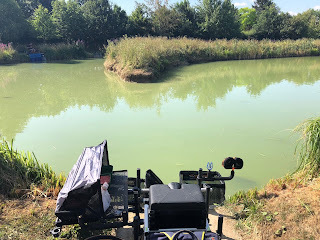 Interestingly, when the wind backed off, the tow of the water changed and that would bring a number of bites in quick succession. 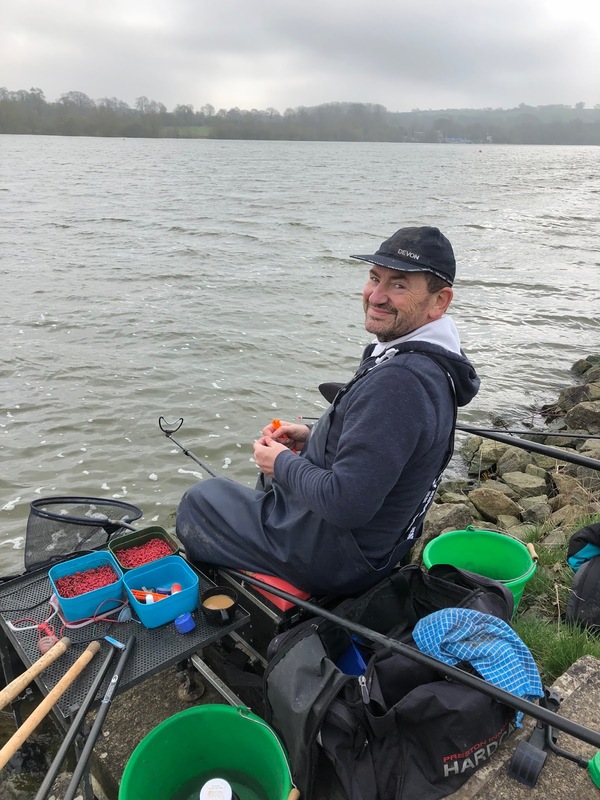 As the day moved on, the weather turned to rain, so I spent around 20 minutes on the tip to 1) get away from the rain and 2) to put some more bait in the swim. 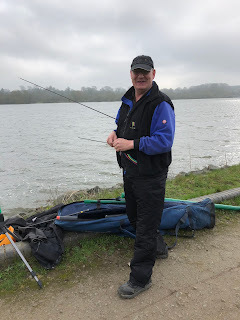 Before the all out was called I did manage to hook myself on the back which required the jacket to come off as I could not reach the hook, again much mickey taking by Shedders and Herbie for that too! 6lb 8oz for a section second picking up a pound from Shedders however I did have to pay out two golden nuggets to Les and Herbie. The only real question was whether or not the short pole line would have produced anything. 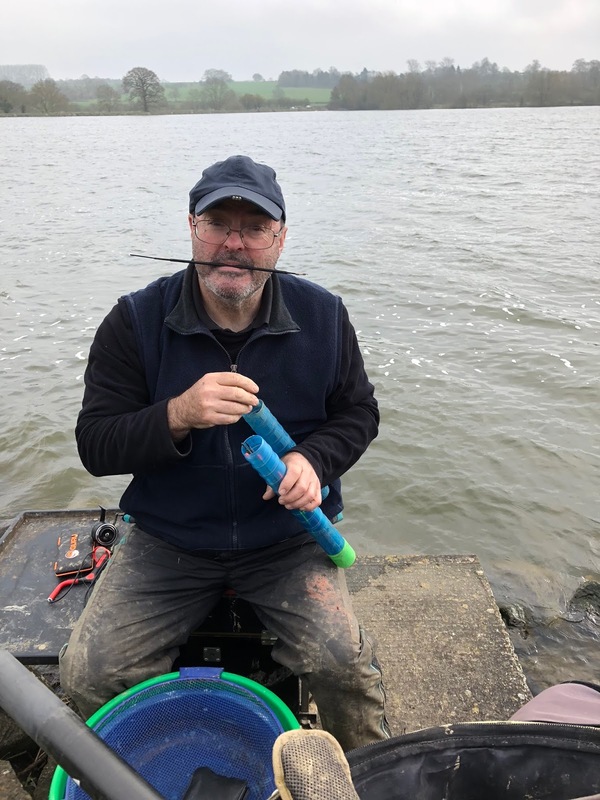 After breaking the rig and not having a backup one ready or available I did have the odd look with the waggler from time to time. Fishing the waggler for the majority of the day was a really nice way of fishing, bring back some old school memories before the days of 16metre poles! 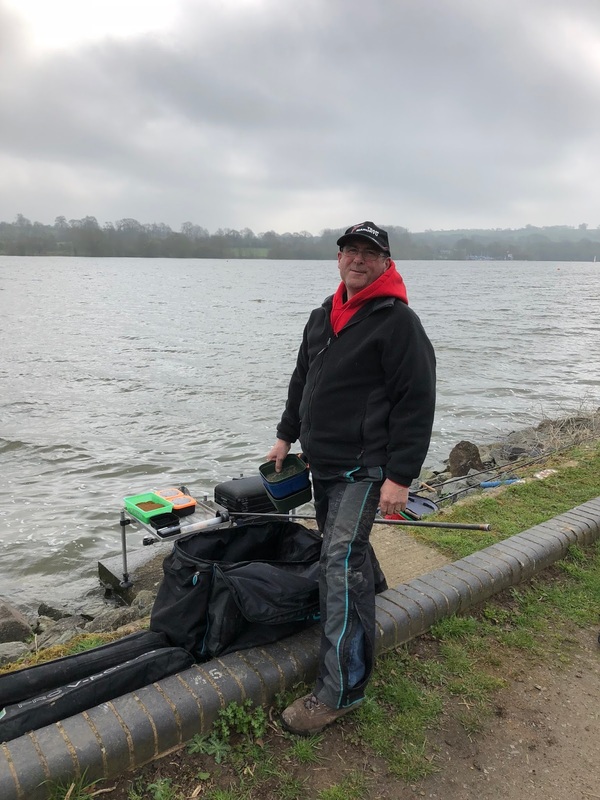 The Drennan Acolyte 13 foot Ultra performed very well, being so light it’s a joy to use. The fishing was a lot tougher this year with the weights down however some lovely nets of roach came from the higher number pegs as predicted together with the first peg on the stretch. 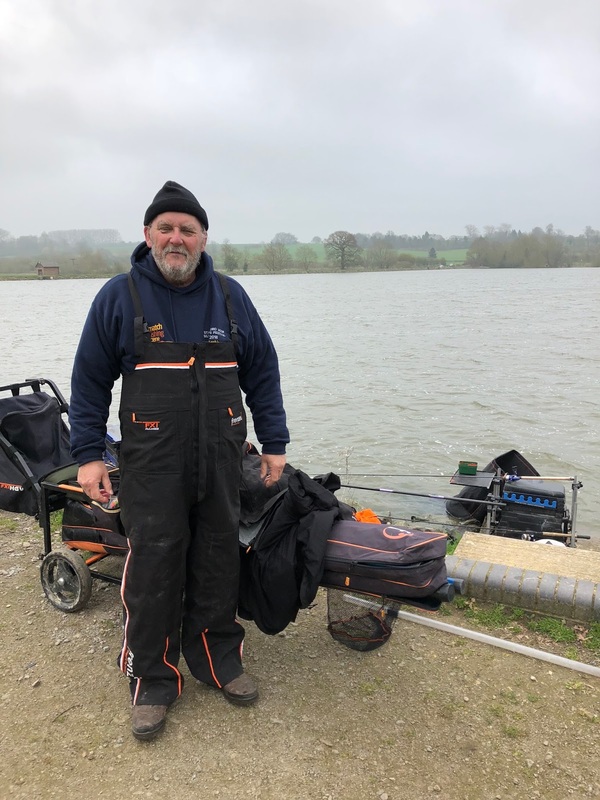 Well done to the top three Merce (12lb 1oz), Simon Pavey (11lb 8oz) and Kenfish (9lb 6oz)! Simon's net of silver lovelies! Now that is a smile! Fishing with a rod, yes a rod! Not t-shirt weather today George!